You are listening to "The Show" from DAMG's own globally recognized producer "Jus Beats"! The April 10, 2010 Space and Opportunity Talent Showcase was a huge success! A special thanks to all of our performers for traveling to share their talents with our panel. Everyone in attendance had a great time and enjoyed themselves completely! Mr. Dante T.W. Chestnut Sr.
CEO - DAMG Ent. LLC. Click photo for bio information! Thanks to all our supporters for coming out and having a great time with us at these events! The 2019 "Music Powers That Be Global Talent Search Showcase" is here to help bring more exposure and opportunity to talented artists, musicians in all music genres, comedians and poets from around the world! Adults, kids & teens age 10-17 register today, come showcase your talent live, or have your video presented in front of noted industry professionals that are serious about helping dreams come true! $25.00 per 1 to 4 minute music video, or most recent live performance. Videos will be reviewed by industry professionals for roster consideration and promoted on our company website for 1 year! 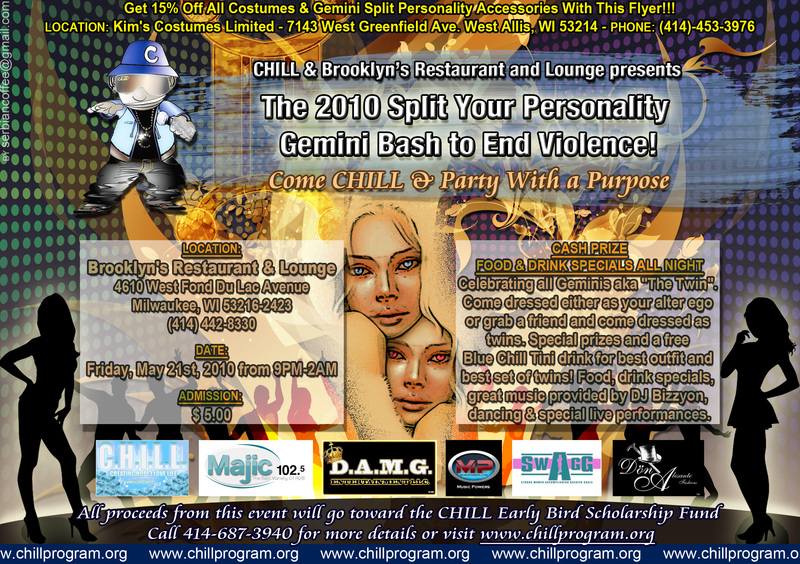 Click here to become a proud sponsor or vendor at this amazing event! 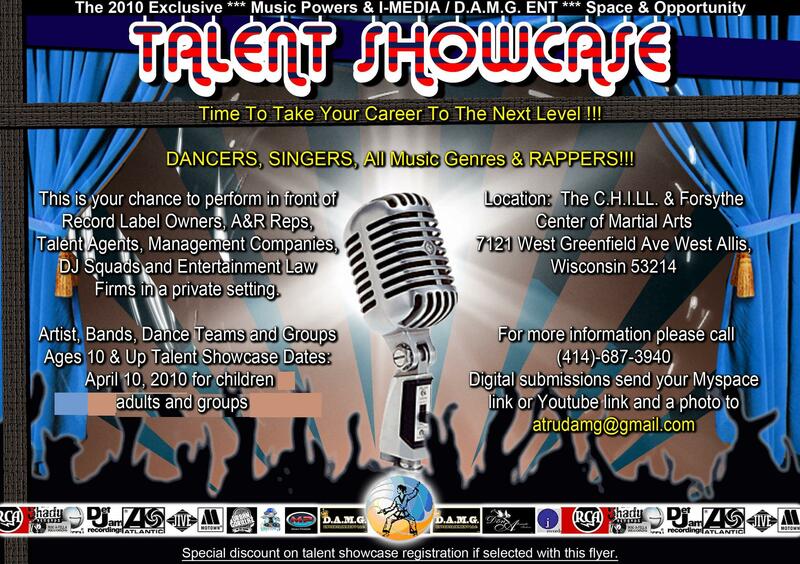 Interested in performing live or submitting a video? Email 2 songs in MP3 format, sound cloud or youtube link for performance review, or music video selection to Atrudamg@gmail.com or Mrchestnut@musicpowers.com or please call (414)-687-3940. 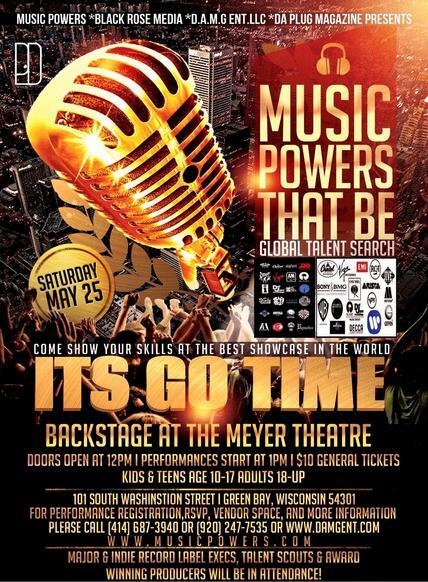 Click on the link below for tickets to the upcoming "Music Powers That Be Global Talent Search Showcase"